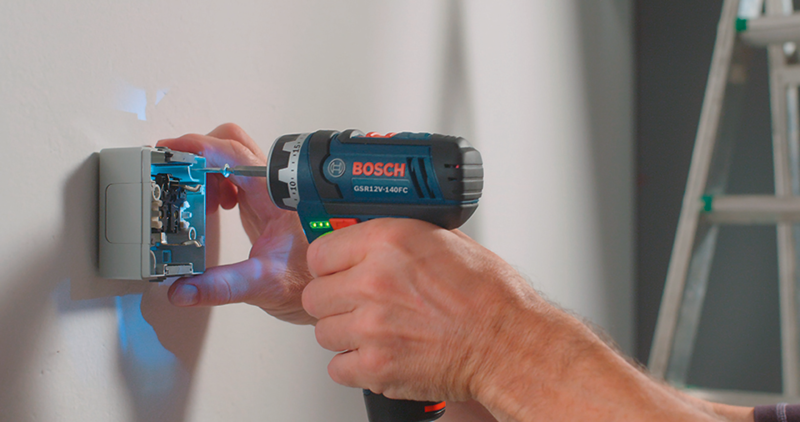 The Bosch Flexiclick features four interchangeable attachments, including an offset 1/4″ hex bit holder that allows you to drive fasteners near walls or other obstacles. 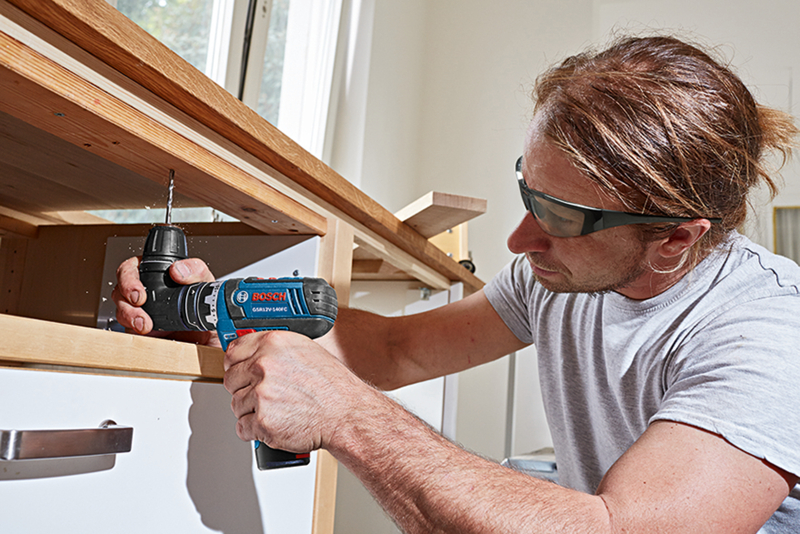 Compact, convenient and powerful, Bosch’s 12 Volt Max Flexiclick 5-in-1 Drill Driver System is now available at KMS Tools. 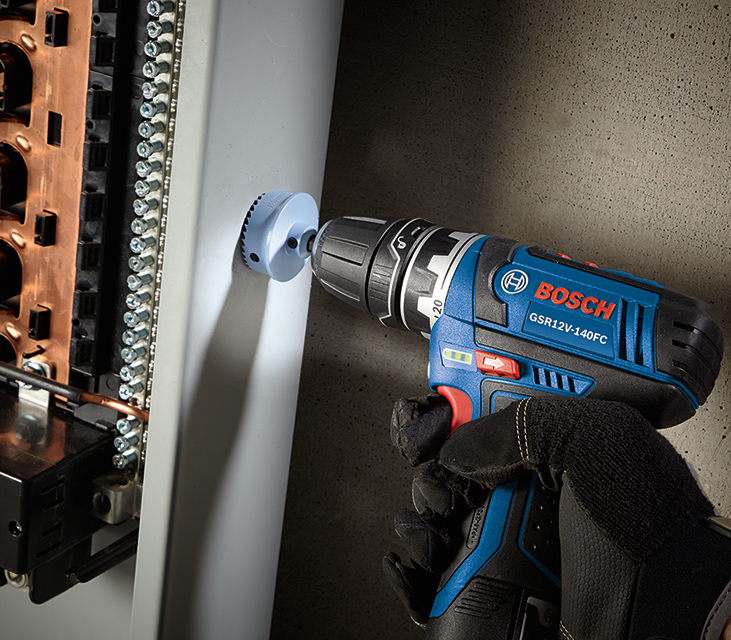 This tool is made for professional cabinet installers, electricians and anyone who needs a torquey drill in close quarters. Locking 1/4″ hex bit holder for high-torque driving. Keyless chuck for locked-in drilling. Offset angle 1/4″ hex bit holder for driving fasteners in tight spaces and very close to edges and adjacent surfaces. Right-angle attachment that works with the other attachments for drilling or driving at awkward angles and in hard-to-reach locations. The Flexiclick also features a built-in magnetic 1/4″ hex bit holder, so you can use the drill without attachments in its most compact configuration. An on-board LED light illuminates your work area, shining bright beneath countertops and inside cabinets. 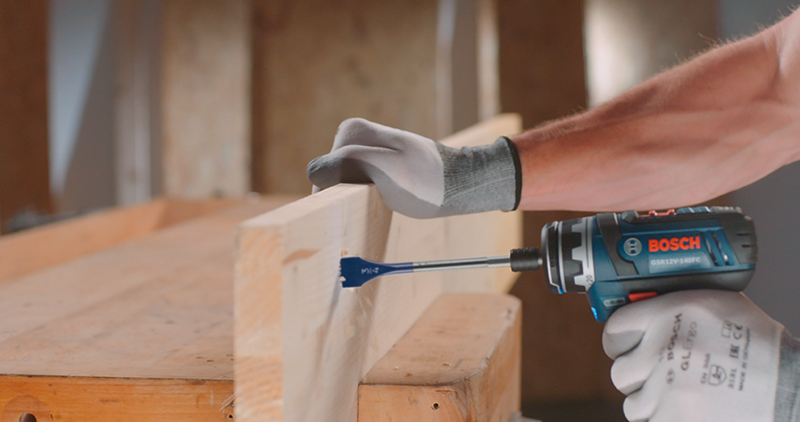 The Flexiclick attachments connect to the drill via Bosch’s One-Click interface, which provides a secure fit to the drill’s rugged drivetrain and all-metal gearing. In addition, you can adjust and reposition the offset angle bit holder and right-angle attachment in place, without removing them from the drill. Both rotate to 16 positions, and the right-angle attachment pairs with any of the other three for added convenience and versatility on the job. Flexiclick's locking 1/4" hex bit holder secures bits for a variety of drilling and driving applications. The offset 1/4" hex bit holder provides accurate driving in hard-to-reach areas. Use the built-in magnetic 1/4" hex bit holder and enjoy Flexiclick's most compact configuration. The right-angle attachment rotates 16 positions and connects to all three other attachments. 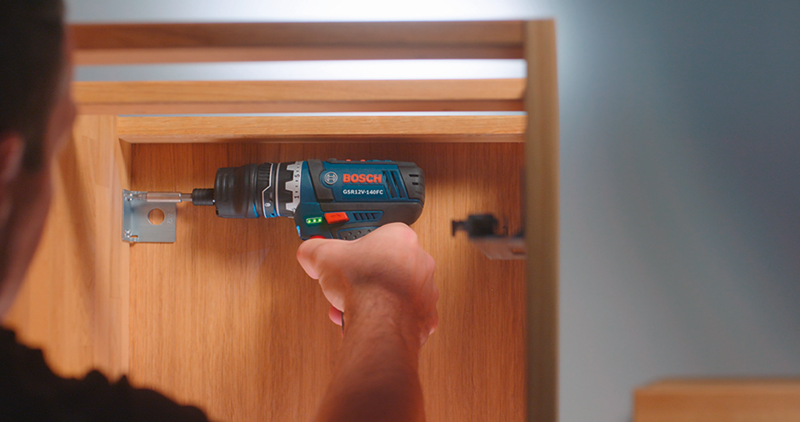 The keyless chuck locks in place for precise drilling. 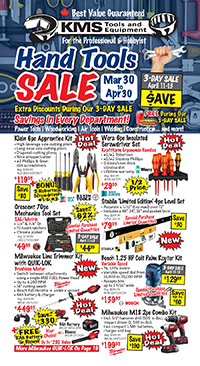 Stop by your nearest KMS Tools location today. Or check out the flyer or kmstools.com for the latest prices on the Flexiclick Drill/Driver System. The kit includes the Flexiclick drill; four attachments (locking 1/4″ bit holder, keyless chuck, offset bit holder and right-angle attachment); two batteries; a charger and carrying bag. 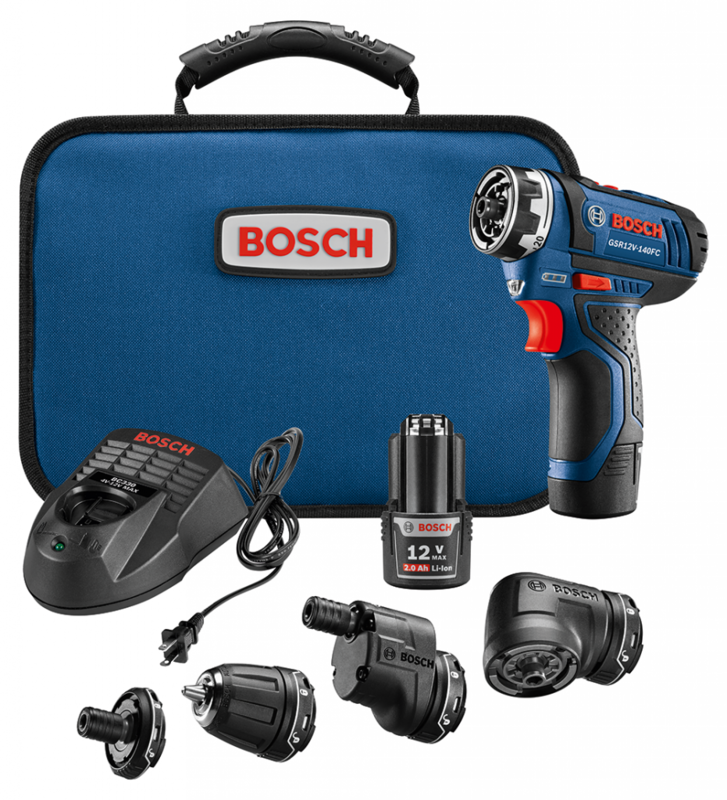 This entry was posted in Archives, Cordless Tools, New Tools, Power Tools and tagged 12V Max, Bosch, cordless tools, main_page, new tools, Power Tools by Your Friends in the Tool Business. Bookmark the permalink.